Relaxing in these rooms is pretty easy. Tall windows open the view to the outside, but the bedrooms are the perfect getaway from the world. Cozy and comfortable make these rooms the place to catch up on some sleep! 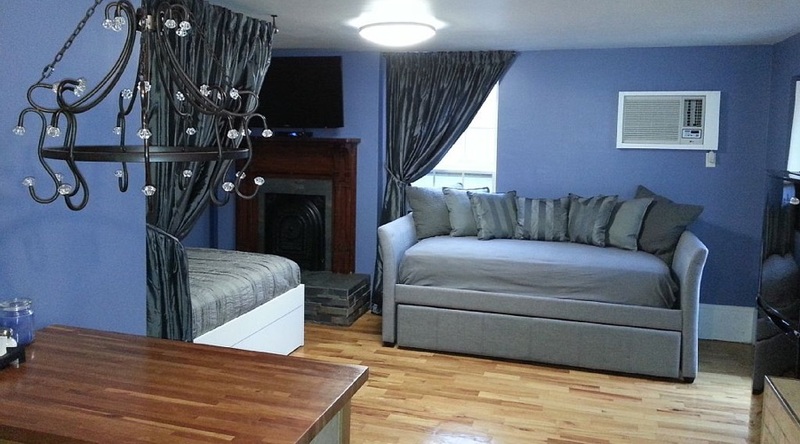 One bedrooms feature a full or queen sized bed and two bedroom feature a queen sized bed.